the custom card-work of Dave Auwerda. 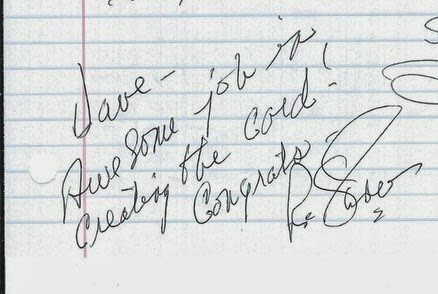 I received one awesome letter from Roe Skidmore, a brief member of the 1970 Chicago Cubs. He was one of the AAAA stalwarts of the early 1970s, someone who conquered AAA but couldn’t get a full shot at the majors. I’m grateful that such men like Skidmore aren’t bitter, but cheer on collectors. I loved most the story about his one game in the majors: Sept. 17, 1970. 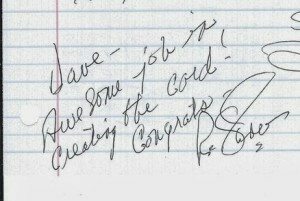 “In 1962 (my junior year of high school) we won the Illinois State Baseball Championship — Eisenhower HS, Decatur, Ill.
As luck would have it, my HS baseball coach was in attendance at Wrigley Field that day. 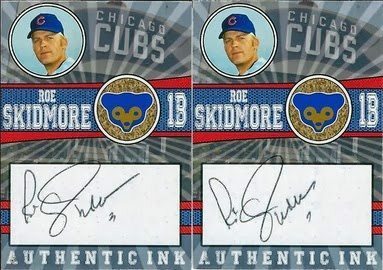 Coming Monday: Skidmore’s one Topps card. Roe is still alive and well in Decatur, Illinois. I just did a little work for him last summer. I have his email, if you are still interested in connecting, let me know and I’ll share your info with him.